يشكل فندق Seymours on Lydiard بموقعه الممتاز في قلب هذه المنطقة الرائعة كنقطة انطلاق ممتازة لاستكشاف المدينة. يقع الفندق على بعد 1 km من مركز المدينة، ويؤمن الوصول إلى أهم مراكز المدينة. سوف يعشق النزلاء موقع هذا الفندق، فهو قريب من أهم المعالم السياحية في المدينة . إن الخدمات التي يقدمها Seymours on Lydiard تضمن للنزلاء إقامة مريحة. إن واي فاي مجاني في جميع الغرف, خدمة التنظيف يوميًا, مرافق مخصصة لذوي الاحتياجات الخاصة, واي فاي في المناطق العامة, صف السيارات هي جزء فقط من الخدمات التي تميز Seymours on Lydiard عن باقي الفنادق في المدينة. بالإضافة لهذا، تتضمن كل غرف الضيوف مجموعة واسعة من وسائل الراحة . بعض الغرف توفر حتى تلفزيون بشاشة مسطحة, حمام إضافي, مرحاض إضافي, سجاد, كرسي عالي للأطفال لإرضاء أكثر الضيوف تطلبًا. يقدم الفندق العديد من الفرص للاستجمام كمثل سبا. إن Seymours on Lydiard هو خيار ذكي بالنسبة للمسافرين، فهو يوفر إقامة هادئة ومناسبة للاسترخاء. Very nice, spacious and clean apartment. Kitchen well equipped. Host very friendly and helpful. Best Wifi so far on our 3 week trip,super fast. Location within a good walking distance (20 min.) from city center and train station. Car park free. Very recommendable place. Very comfortable in winter and got excellent heating system. Clean and spacious apartment. Friendly and helpful staff who attended to our request promptly. We stayed at superior suite room for 2 adults and 2 toodler, it's really comfy. There were sofa that can turn into sofabed, Additional pillows, blankets are provided inside the wardrobe. They provide amenities such as soap, shampoo, conditioner, and body lotion more then enough for our family, Very clean and well-maintained hotel. The kithen was very complete, there were microwave, oven, stove, cooking utensils, kitchenware provided. There is cafe adjecent. Walk back to the hotel at night was a bit hideous because it is very dark, there were no light from the houses along the pedestrian. Thus, we had a great memories stay at this hotel. The location is good. It is in the centre of the town. You can start your city walk from the hotel. The staff is good. We really felt welcomed in this hotel...not easy to have such feeling in Australia. The room is good. Spacious, clean, with good kitchen and air conditioner. Stayed for 2 nights over the weekend and had a great time at this place. Spent some time on the baloncy with drinks and eats. The staff were very attentive and accommodating. Would not hesitate to stay again. 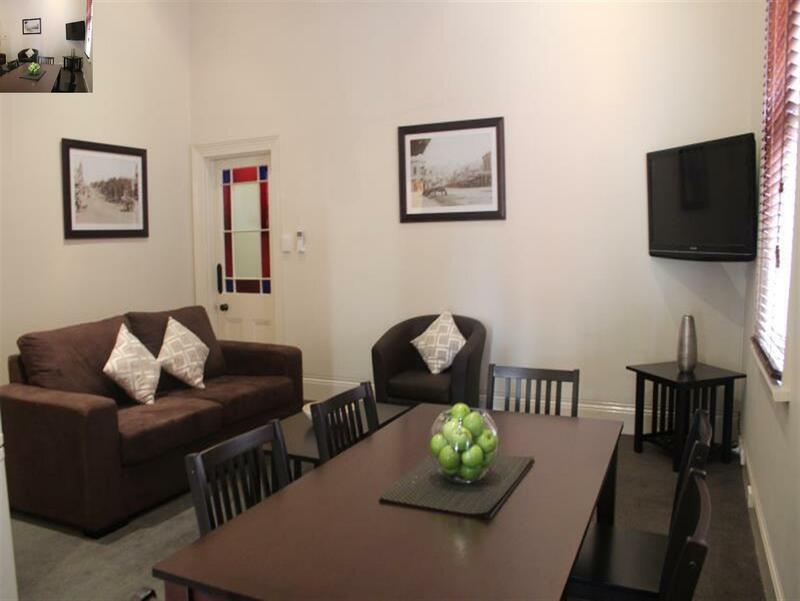 Good for an overnight stay, location close drive to centre of town or restaurants, very clean with high standard of refurbishment , my only issue is that there was limited choice of television/foxtel if you were to stay more than overnight. Did not use dining facilities. I have to admit that I was surprised with what we discovered at Seymours on Lydiard. The facility otself is quite old, as is the original pub fronting the facility. We decided to book a Villa, pone of three I think, and were extremely happy to find we had our own car space, the olde worlds wooden Villa looked just okay from outside, but on entry you are greeted by a large open plan lounge/bedroom/kitchenette. Very clean, well arranged and with neat fittings (includes a large balcony door and small enclosed garden with chairs and table, the only real downside for me was how hard the bed was and there were no pillow variations to choose from. On the upside (over and above what I have already outlined) was a brilliant bathroom with massive shower and spa. The staff were incredibly attentive and the whole experience, aside from the bed, was great. Highly recommended. 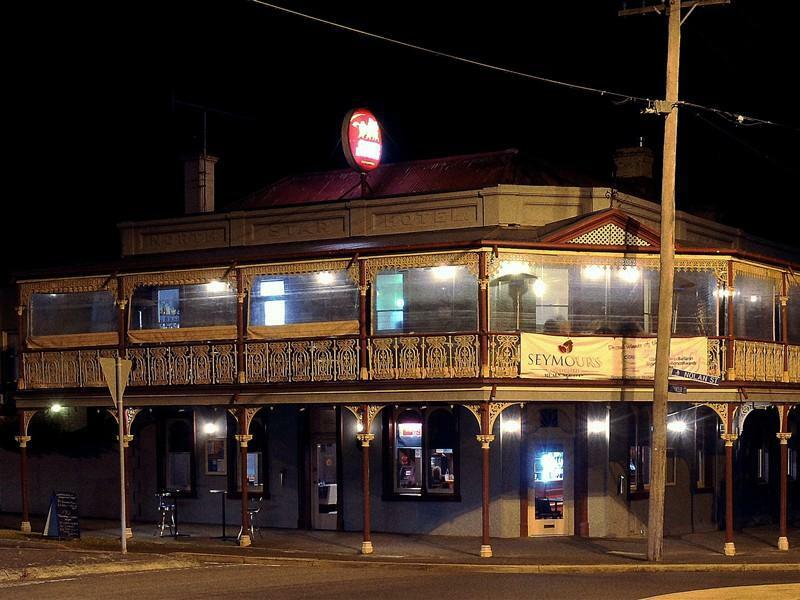 The hotel has a traditional pub exterior but the rooms have been upgraded and are spacious with modern amenities. The restaurant has a wide choice of meals at reasonable prices. The hotel is close to the main railway station where most bus and coach services are available. Good off street parking. Restaurant attached where food was not too expensive and wine list great. It was easy to find and although. Although a little away from the CBD when we found a super market we elected to go back collect our car and then shop! Motel rooms are often small ,close to a busy road and have no comfortable chairs to sit on. The features of this place were a welcome surprise.